Mental illness affects approximately 20 percent of American adults every year, and is often debilitating, especially when left untreated. 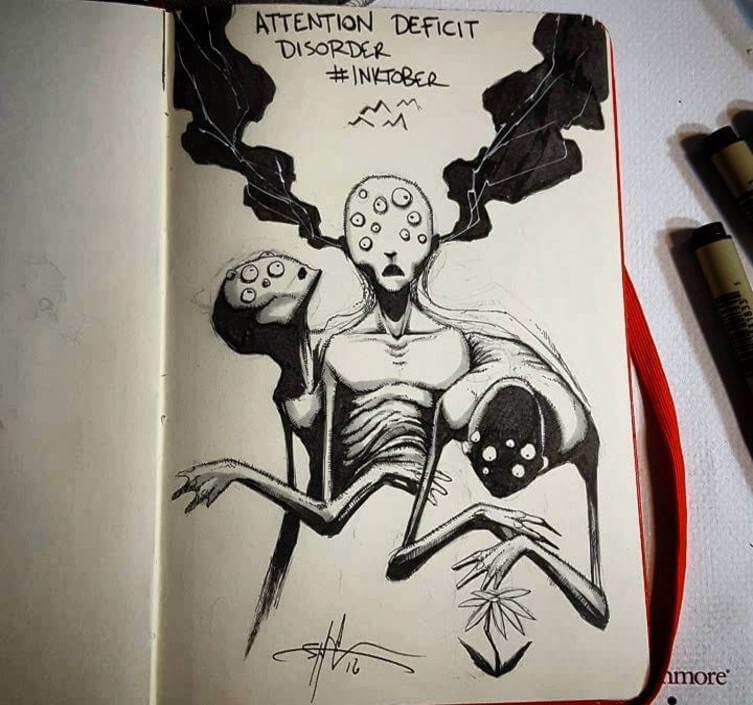 Artist Shawn Cross created a series of drawings to show the world what different types of mental illness feel like. 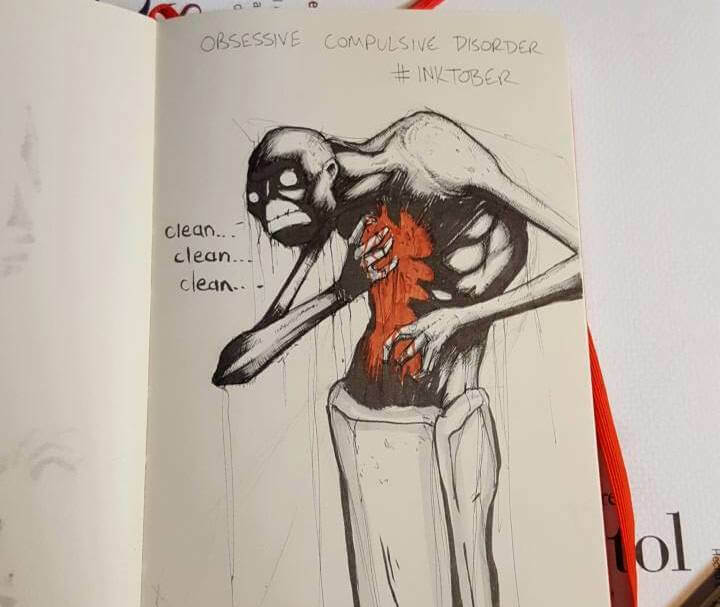 The image of what Obsessive Compulsive Disorder feels like will leave you reeling. Millions of people suffer from depression every year. For some, depression can be situational, but for many others, it is a struggle that can be a lifetime battle. 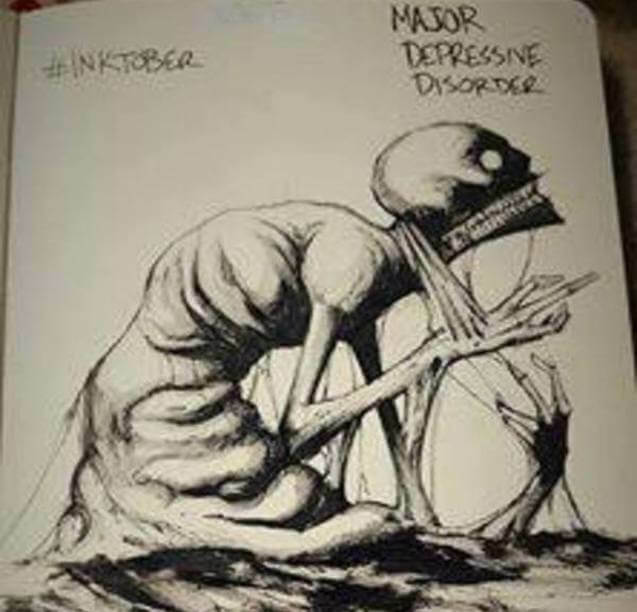 The artist does a fantastic job of showing the despair that comes with major depressive disorder here. 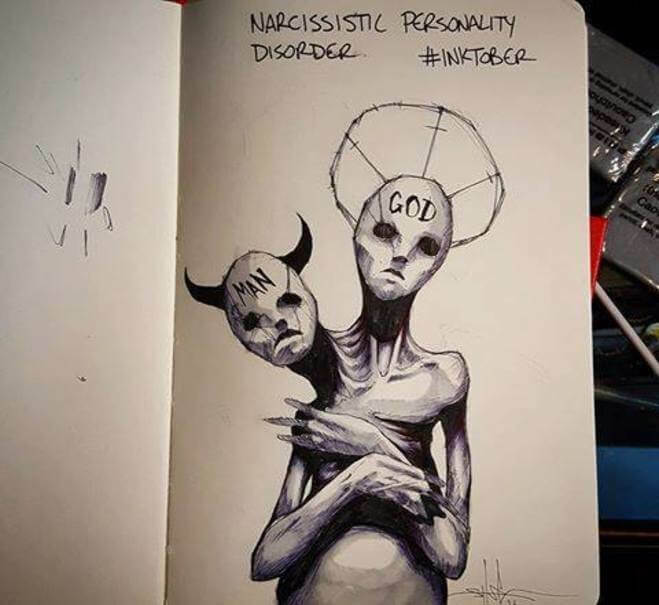 Some hallmarks of Narcissistic Personality Disorder include a sense of grandiosity, extreme selfishness, and thinking the world revolves around the person who has it. Oftentimes, people with this disorder don’t even realize that there is a problem, and it is very difficult to treat. It is a disorder that is more commonly found in more men than women. Generalized Anxiety Disorder is one of the most common mental illnesses, as it affects an astounding number of people every year — nearly 18 percent of the population. People with this experience excessive worrying to the point that it interferes with their everyday life. 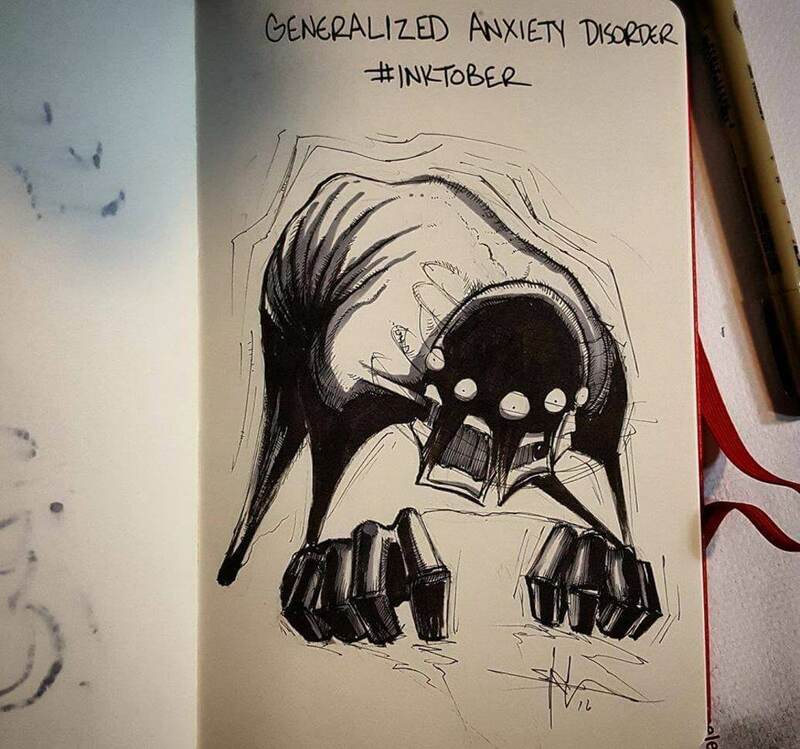 Keep reading to see another drawing that addresses a different anxiety disorder. 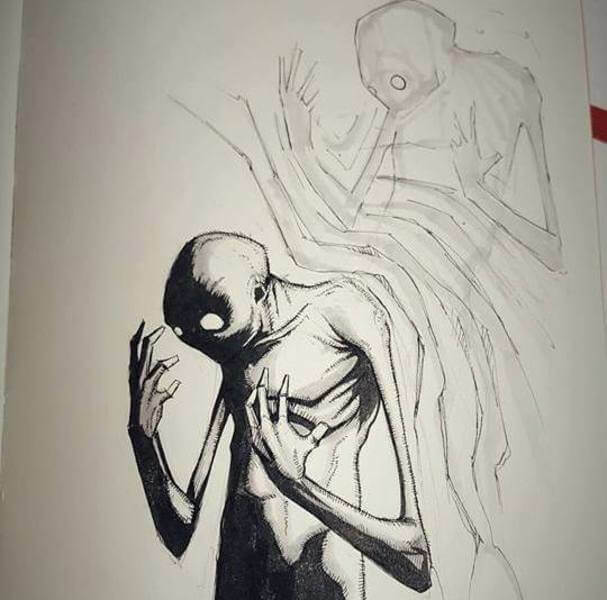 People with Depersonalization Disorder often feel very detached from themselves, which is shown in the drawing above. It often occurs in young people and can lead to depression and self-harming, among other things, and is often the result of emotional trauma. Cognitive behavior therapy is most often used to help people work through this disorder. Autism Spectrum Disorder has been on the rise in recent years and affects 1 in 68 children. People with ASD often struggle to relate to people, avoid eye contact, struggle with sensory issues, and have repetitive hand movements. It’s important to remember that this is a spectrum disorder, so no two people with autism behave the same. Panic Disorder is in the class of anxiety disorders, and when things get really bad for people with this disorder, they often feel like their heart is racing, have difficulty breathing, and feel chest discomfort. 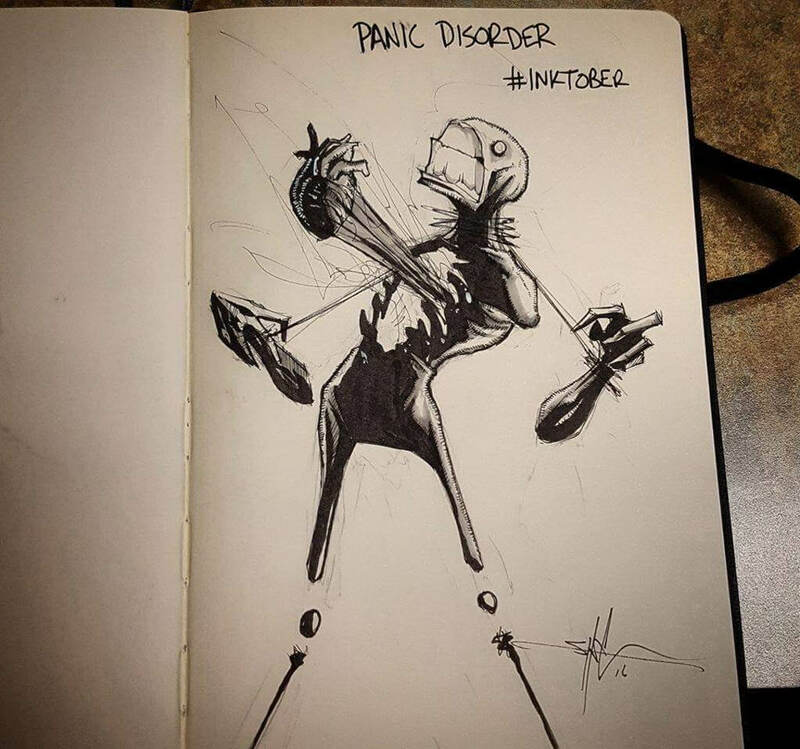 The drawing shows perfectly what it feels like to have a panic attack. 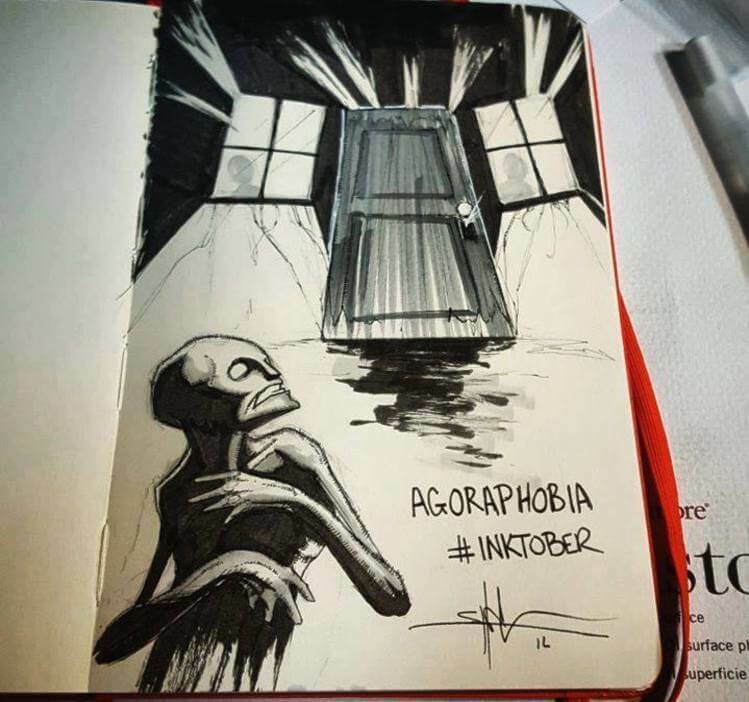 In an upcoming slide, check out the artist’s depiction of agoraphobia. 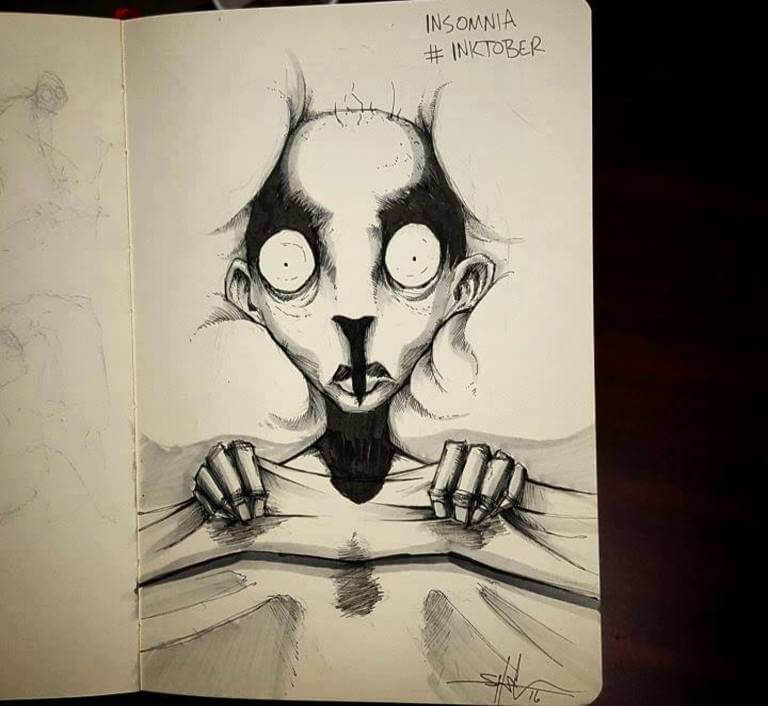 People with Bipolar Disorder typically experience two distinct moods — depression and mania or hypomania. Mania and hypomania are characterized by feelings of grandiosity, increased energy, and elation or euphoria. 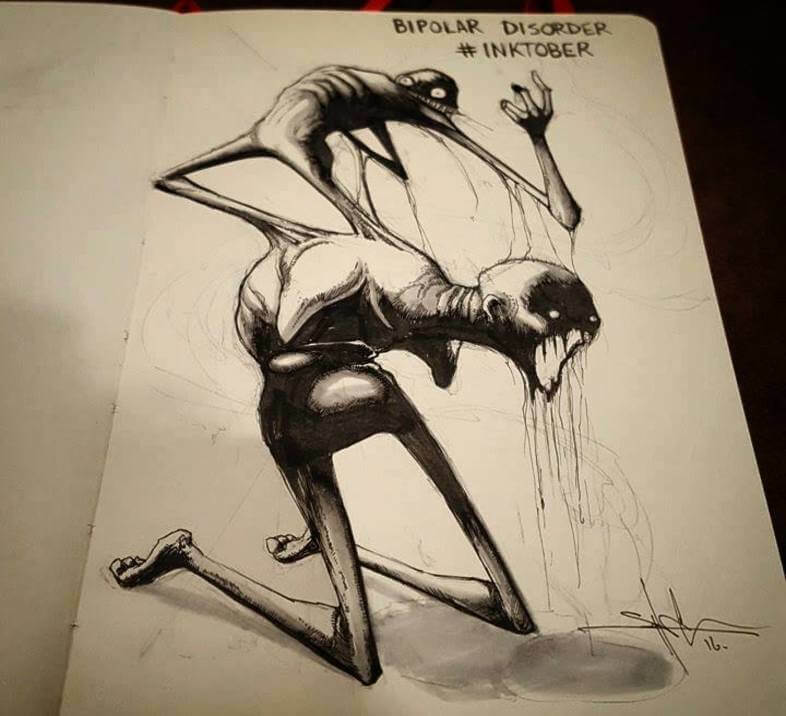 Occasionally people with Bipolar Disorder will have mixed moods and experience these symptoms at the same time, and the picture above is a good representation of that. Post Traumatic Stress Disorder is known for affecting military members, but it can affect anyone who has been through a traumatic experience. People with PTSD often struggle with anxiety and depression, plus they have flashbacks that make them relive their traumatic experiences over and over. People who struggle with agoraphobia are typically so afraid of the outside world that they’re unable to leave their homes. Doing so can cause extreme anxiety and panic. 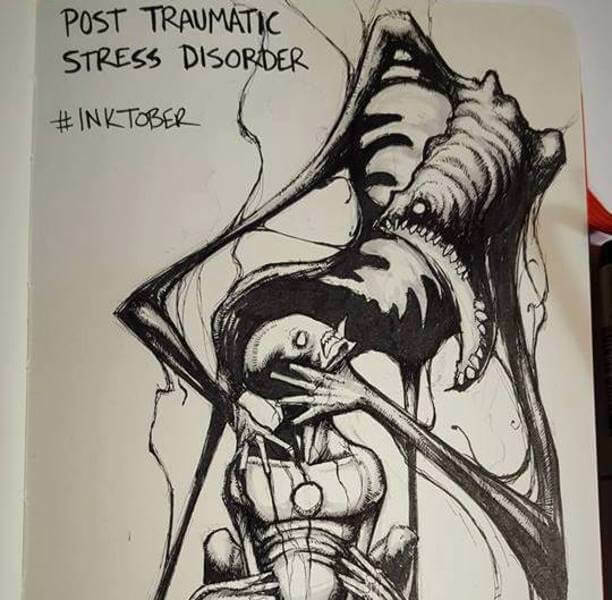 The drawing above does a good job of depicting this, as well as the shame sufferers endure as a result. 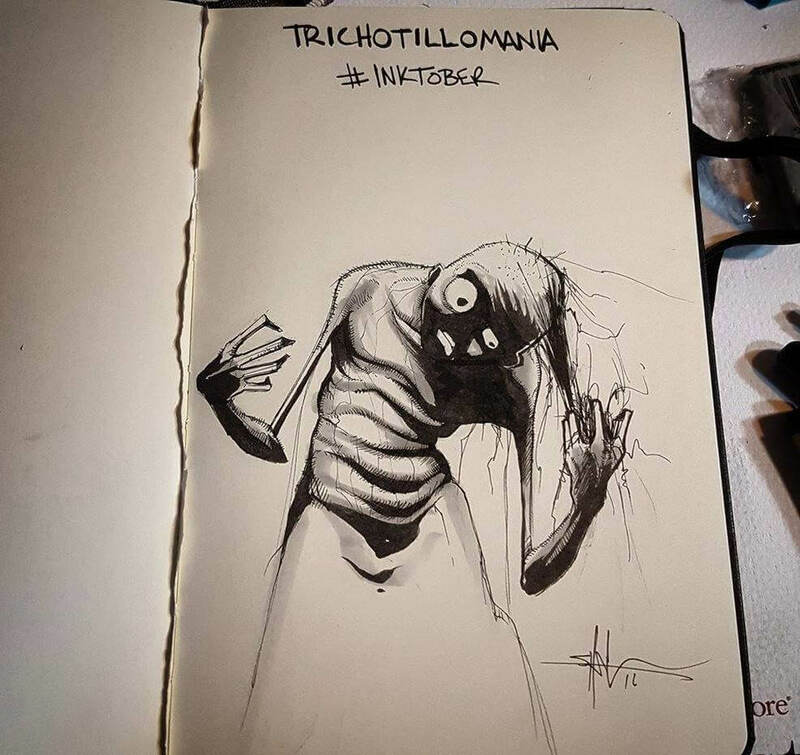 Keep reading to see a drawing that depicts trichotillomania. People with Obsessive Compulsive Disorder (OCD) often feel the need to repeat certain behaviors or actions over and over. Sometimes this presents as the need to excessively clean, wash hands, or flip light switches on and off, but other times it can be invisible as it can present as having only obsessive — and intrusive — thoughts. Everyone knows that sleep is crucial to physical and mental health, and sleep is something people who experience insomnia go without. Insomnia can sometimes be treated with medications, but when it is left untreated, it can worsen the symptoms of other mental health issues. Trichotillomania is characterized by pulling out hair from the scalp, eyebrows, and other places. It’s an impulse control disorder, one that creates a great deal of shame for people who suffer from it, as it often leads to bald patches. In an upcoming slide, check out what Paranoid Schizophrenia looks like. 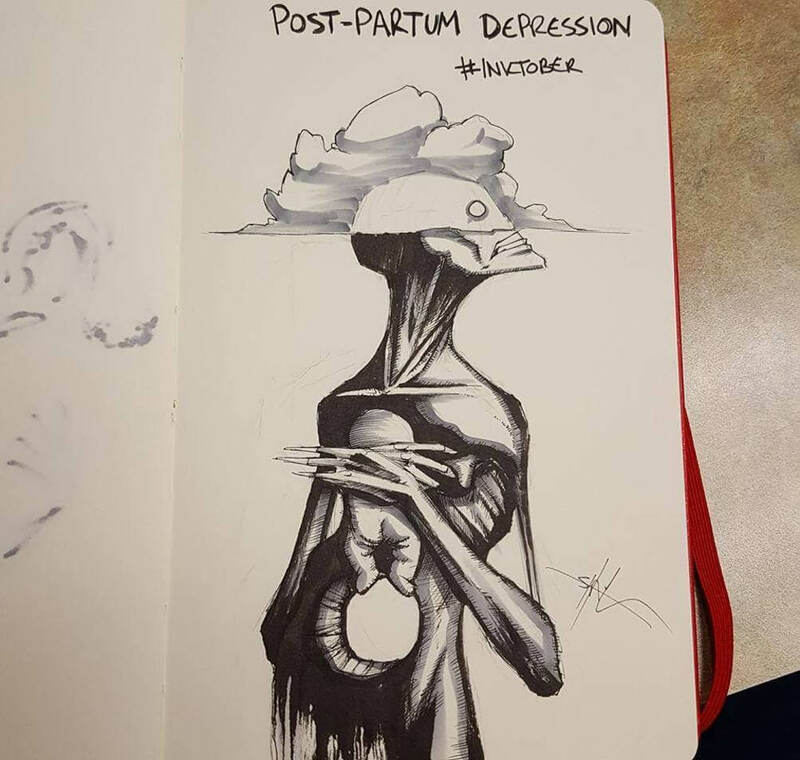 Many women experience the baby blues after giving birth, but this turns into full-blown Postpartum Depression Disorder in up to 20 percent of new moms. Left untreated — which often happens due to the shame these new mothers experience — it can lead to thoughts of wanting to hurt yourself or the baby and psychosis. Borderline Personality Disorder affects women most often, and it causes sufferers to experience large swings in moods and erratic behavior. It puts a huge strain on relationships, as even the most minor issue is misperceived and gets blown out of proportion, and can be very difficult to treat. 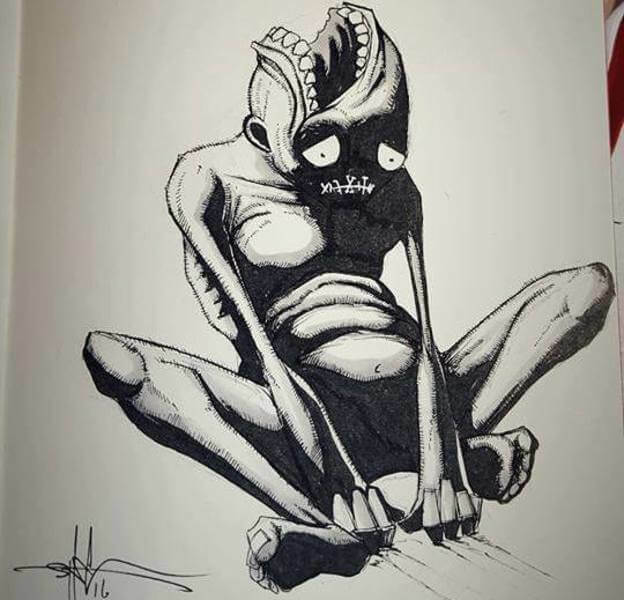 Paranoid Schizophrenia is a personality disorder that is characterized by hearing voices that aren’t there and thinking people (or these voices) are out to get you, as shown in the artist’s drawing. 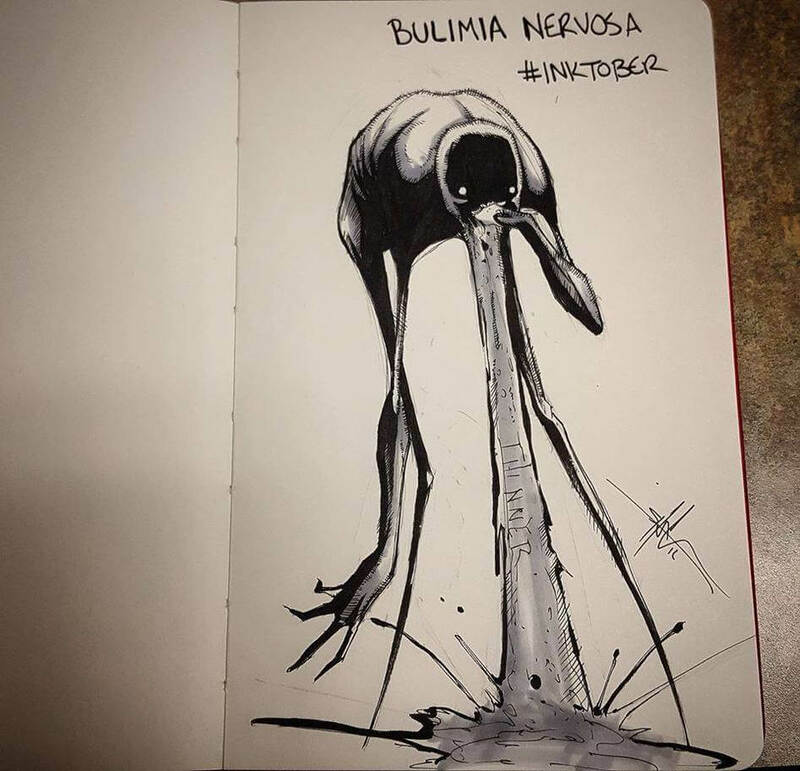 In a slide coming up, check out a drawing that represents bulimia. 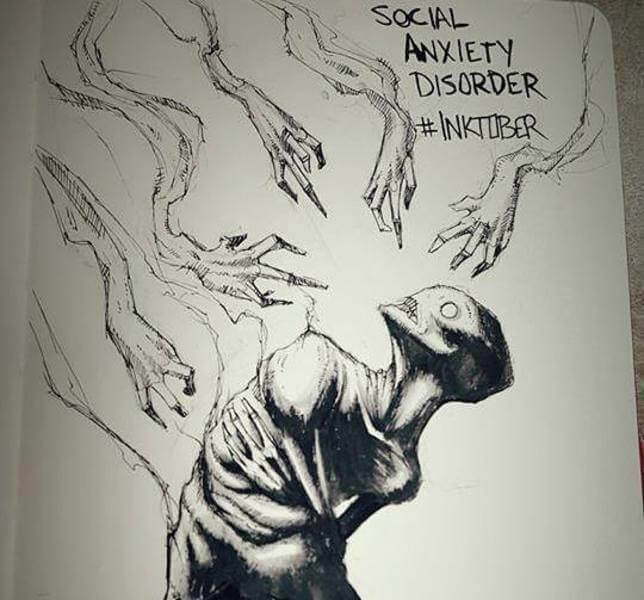 People who suffer from Social Anxiety Disorder struggle with social situations. They have a fear of being judged and feel self-conscious. This disorder can cause extreme anxiety even in minor social situations, such as grocery shopping, and can really hinder the sufferer’s ability to form relationships. Attention Deficit Disorder (ADD) is a disorder that affects around 10 percent of people. It is more noticeable in kids and can cause people to be unable to pay attention, be impulsive, and sometimes be hyperactive (with ADHD). It makes people struggle in school and work settings and can lead to feelings of worthlessness and even depression. People with bulimia often binge eat and later make themselves throw up. It often affects women — but can affect men, too — and is usually the result of a distorted body image. Bulimia can be life-threatening, as it can cause the esophagus to be damaged and can even lead to it rupturing. 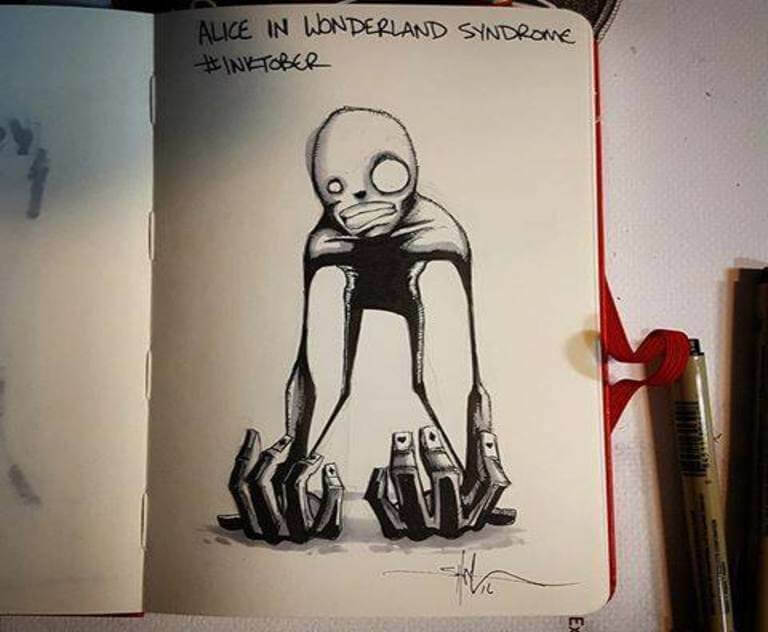 Alice In Wonderland Syndrome is a mental illness that causes a person to have perceptual distortions. Much like visual hallucinations, things can appear larger or smaller than they really are, plus they can lose sense of time and may even lose control of their limbs. 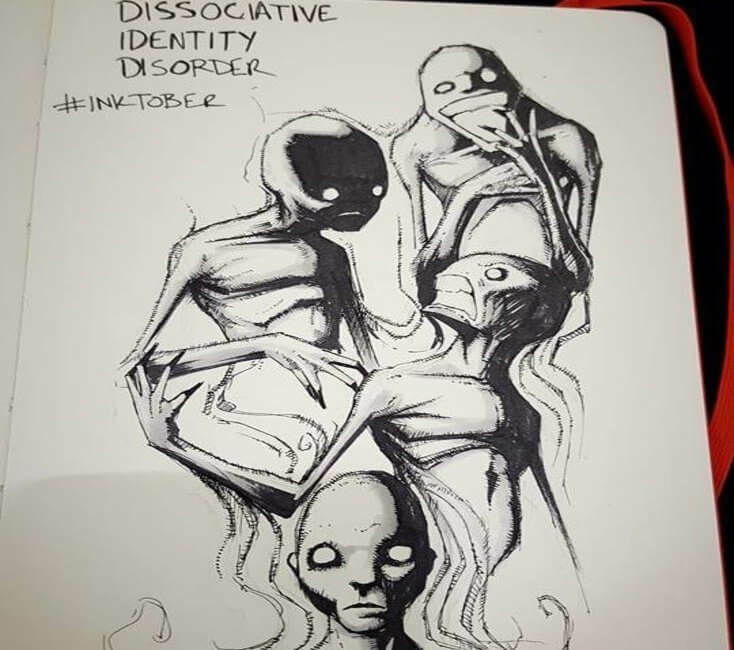 Dissociative Identity Disorder is a disorder that causes a person to have multiple personalities. Often caused by childhood trauma, the sufferer develops more than one identity and those identities take over the person for periods of time. This can be a lifelong disorder and is very difficult to treat.